In North Carolina a judge can grant a Prayer for Judgment Continued (PJC). That is a situation where the judge permanently withholds sentencing on a given crime. This disposition is common for traffic tickets where the judge makes an assessment of the client’s prior record, the severity of the offense, and any aggravating or mitigating factors and decides that this is the appropriate way to dispose of the case. The officer who pulled me over said I can just get a PJC and it will not go on my record, is that true? Absolutely not. While in many cases a PJC is preferable to a standard judgment, it does show up on your traffic record. Under some circumstances a PJC can prevent license suspension, insurance increases and driver’s license points, in other circumstances it may not be recognized at all by the DMV or your insurance company. 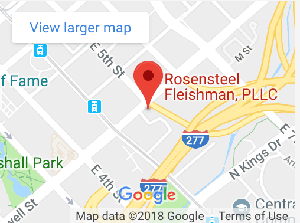 Rather than taking your legal advice from the officer who pulled you over, you should call a speeding ticket attorney from Rosensteel Fleishman, PLLC to review your case. Can I get an unlimited number of PJC’s? No. There are limits to the number of PJC’s that an individual can have for DMV purposes and a limit to the number that a household can use for insurance purposes. How do I know if a PJC is the best disposition? The PJC is sometimes thought of as a one-size-fits-all disposition. It is not. As with any legal situation, it is a much more complicated and nuanced issue than can be addressed in this type of forum. It involves strict rules and the complex interplay between insurance points and driver’s license points. Most drivers, many cops, and even some judges, do not understand the possibilities, consequences, and best times to utilize this judgment. It is not an unlimited commodity and there are serious insurance and driver’s license consequences involved. Simply put, you should call a traffic ticket attorney at Rosensteel Fleishman, PLLC to discuss the matter. Is there something better than a PJC for my case? Every case depends on the individual charge, facts of the case, the driver’s record, and the County where he or she is cited. All of these things contribute to an attorney’s opinion on the best resolution.